If you follow me at all, I proposed doing the Health Care dot Gov website using LAMP (i.e Linux, Apache, MySQL and PHP). I’ve also proposed using commercial editions and support contracts where possible. An example is Ubuntu or Red Hat Linux and MySQL commercial editions. If they did use my solution, I could guarantee it would cost much less than 350 – 400 million to build it. And that’s not counting the additional cost to fix all the issues. OK, Oracle. You brought this product via a Sun acquisition in 2009. The first article I referenced us from 2013. Why haven’t you made MySQL conform to ISO and also SQL conformance? After all, you have an army of open source volunteers, in addition to the Oracle tech army. But really? 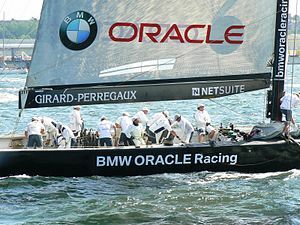 How far away is Oracle really? In a Wiki comparison of the two open source databases at MySQL Vs PostgreSQL, it said that, “the most commonly used storage engines in MySQL are InnoDB for almost full ACID support and high performance on large workloads with lots of concurrency.” So how far away is “almost”? Yes, PostgreSQL is cool. You can read why in PostgreSQL Hits 9.3, New Levels Of Popularity With The Cool Kids at . But seriously. This is a government project, that spreads though out many states, as well as the federal level. Personally, I prefer to play with PostgreSQL. I like it more for it’s compliance standards. But Oracle does sell editions that they support. That’s more important for a project of the government size. And I still say that I could have developed their website with LAMP much cheaper and it would be more robust and reliable. But if Oracle wants me to endorse MySQL 100%, they need to make it conform to SQL compliance and ISO standards. In an article entitled Bye-bye, Big Red? Escaping Oracle’s not that easy at Bye-bye, Big Red? Escaping the Oracle corporation, you can choose a MySQL fork entitled MariaDB. But I don’t free there website is as developed or informative as those from the other databases. You can also get an enterprise edition of PostgreSQL from the company enterpriseDB. I used to work with both Oracle and Microsoft’s SQL server at Motorola. And I have played with both MySQL and PostgreSQL. If you are doing any dynamic web development, then you need MySQL or PostgreSQL. Any other database solution is overkill. What do I prefer. Some Enterprise version of Ubuntu and PostgreSQL, with enterprise supported versions of Apache and PHP. From my experience with Sun Unix servers and Apache, Apache almost never has problems.